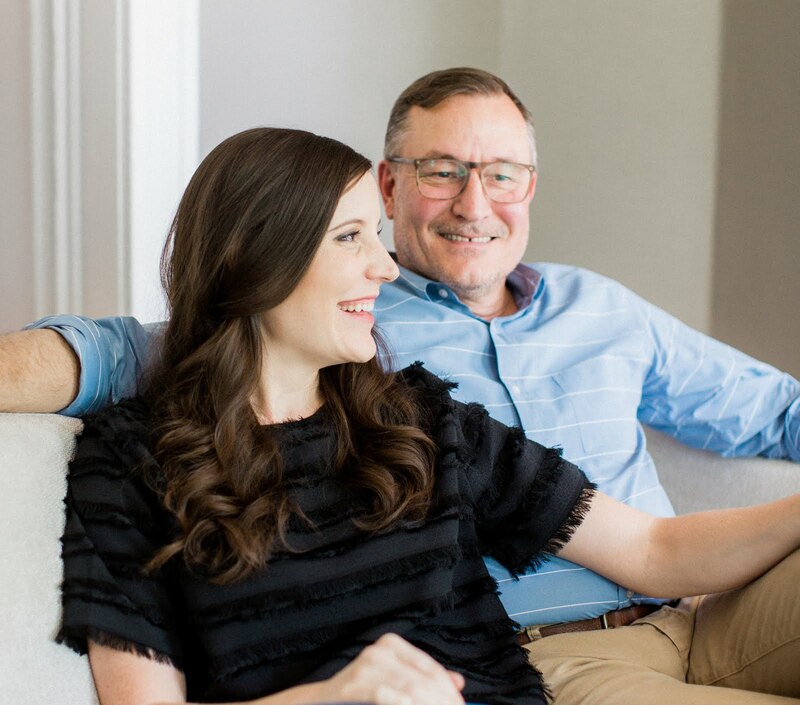 We took it pretty easy this weekend — staying close to home and wrapping up a few projects we've had on the old list. 1. We had dinner with our good friends Clay and Corrina of 2 Noble Dog Brewing where Basil had his first extended (and supervised) encounter with a cat. The cat held her ground and definitely let Basil know exactly who the boss was throughout the evening each time he tried to sniff at her a little too closely. Speaking of having dinner at friends' homes, Tim never leaves without bringing something along — just look at this little carrying case he put together. I got a good one. 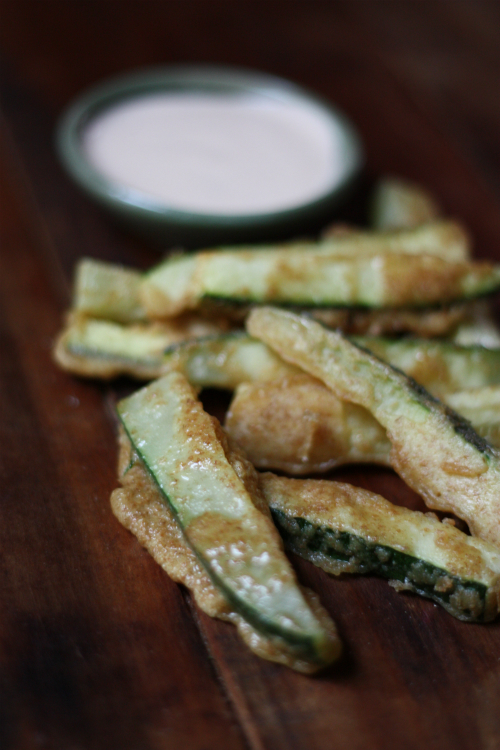 Remember those beer battered zucchini fries we made last weekend? 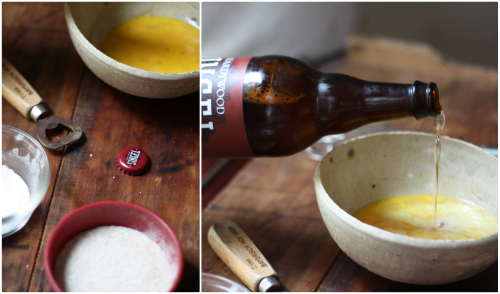 Find the full recipe and inspiration for these gems here. ...Annnnnnd we finally have some painting results! 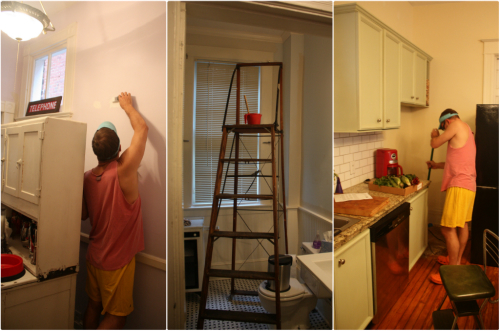 We said goodbye to the dreaded cream, purple and blue colors in our kitchen, back hallway and downstairs bathroom. Oh, and if you couldn't tell — that paint visor came out in full swing. We're looking forward to giving the breakdown and showing some after pics soon. We hope you had a full and happy weekend as well! P.S. We have a winner for the compost bin giveaway — commenter #123, Chrystal Jones! Congrats and stay tuned for future giveaways! Is that an old Coke crate? Really great idea! I'm going to have to use that one. I love that picture of Basil and Sir Kitty, too funny. Actually this one is a 7Up crate but same thing! Yes, Basil and his adventures. Cracks us up daily!